Insight is defined as the capacity for accurate and deep understanding of a person or thing. Our mission is to create a medical home for individuals and families that is easily accessible, cost-conscious, encourages collaboration, and promotes wellness. We welcome everyone to our practice regardless of race, religion, culture or sexual identity. Dr. Lisa Davidson is a well-respected Family Medicine physician who is known for her commitment to health education and disease prevention and for her passion about patients being involved in decisions about their health. Dr. Davidson has been practicing in Denver since 1997 and has won many awards, including being honored by her peers as Denver’s “Top Doc” in 5280 Magazine and receiving the Patients’ Choice Award five years running. She also serves as an Assistant Clinical Professor at the University of Colorado Health Sciences Center and is a Board Member of the Denver Medical Society. She is a Founding Member of the Direct Primary Care Alliance and mentors physicians on a national level. Originally from the San Francisco Bay Area, Dr. Davidson received her undergraduate degree in Biochemistry, and went on to complete her medical degree at Western University of Health Sciences School of Medicine. Following that, she completed her residency at the University of Colorado Family Medicine Residency at Rose Hospital, and has been in private practice since 2000. Dr. Davidson’s professional interests include both women’s and men's health, mental wellness, and weight management. Dr. Davidson serves as an expert witness in medical malpractice cases. In her spare time, Dr. Davidson enjoys travel and is always seeking adventure with her husband and two children. Melissa Jones, PA-C, a native of Leavenworth, Kansas, has been in Family Medicine since 1996. After receiving her B.S. in Occupational Therapy at the University of Kansas, she relocated to Pueblo, Colorado and worked as an OT at the Colorado State Hospital. While working in Pueblo she attended University of Denver on weekends to earn her Masters in Social Work. 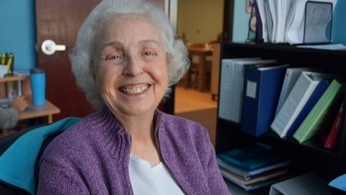 She then moved to Denver full-time and began working with children, adolescents, adults and the geriatric population at various psychiatric facilities. In 1996 she graduated from the University of Colorado Physician Assistant program, and she has been practicing with Dr. Davidson since 2000. Melissa frequently serves as an expert witness in medical malpractice cases and regularly volunteers for Habitat for Humanity and a variety of events, including the 9News Health Fair. Her personal interests include spending time with her husband, cycling, and Jayhawk basketball.